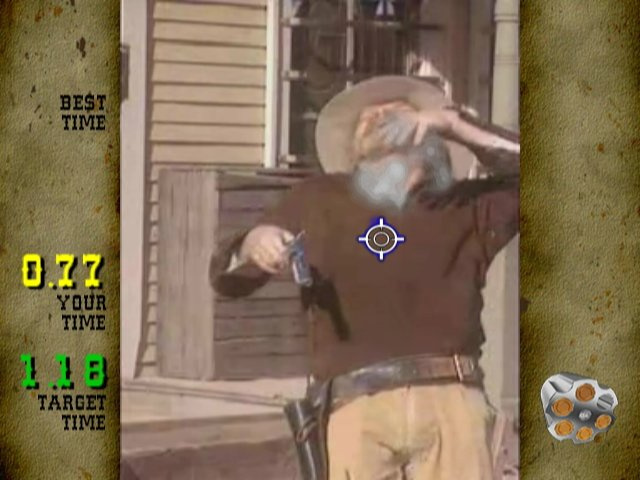 Fast Draw Showdown is a game set in the distant past…the year 1994, to be precise. 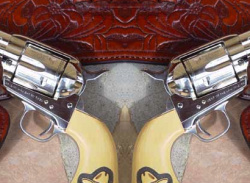 In those days, arcades were lit up with light gun games; even as other genres drifted into console-only territory, there was still a ready supply of them. But where most of these games were frantic on-rails, shoot-everything-that-moves twitch-fests, Fast Draw Showdown was stationary.. This is a first-person shooter featuring live-action scenes and actors instead of traditional animation. 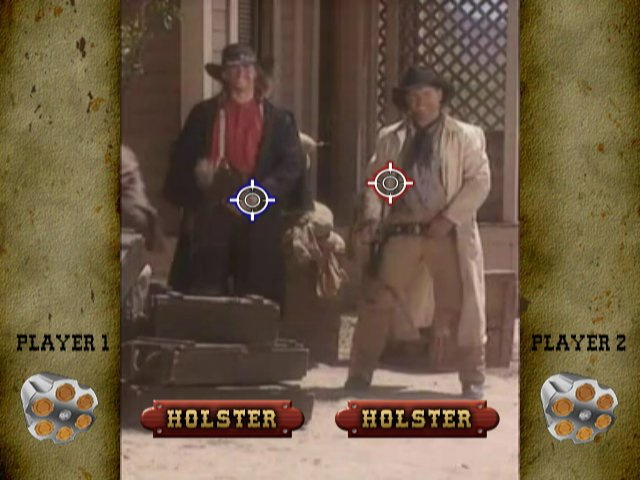 Set in the Old West, the game allows players to engage in quick-draw showdowns with gunslingers. 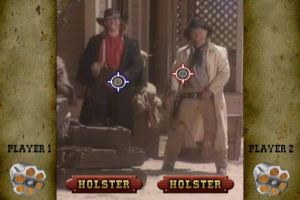 Players must out-draw their opponents by "holstering," drawing, and using a crosshair target to place aim on the human targets. 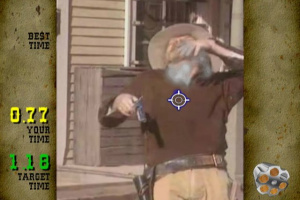 All gunfighters can be shot and killed in the game; they react to getting hit by crying out in pain and collapsing to the ground. One opponent, nicknamed "Slurring Spence," is shown staggering around while holding a bottle filled with liquid; it is strongly implied that he is drunk. Yeah, I have a feeling it'll be in the vein of their Mad Dog Wii release but I could be wrong. @lanafire7 Yes, this is the classic 90s arcade shooter Fast Draw Showdown! The game will also have a multiplayer mode among other new features. We'll be forwarding all the details to the NintendoLife staff very soon. Regarding the Mad Dog pack, there really aren't any issues with calibration or hit detection. However, as it is an FMV game, there are slight delays between movie clips as the video jumps, and this can sometimes cause confusion. You just need to be fast off the draw to make that shot! 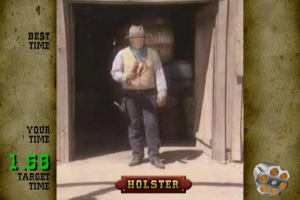 I bought, and quickly sold, the Mad Dog McCree Gunslinger Pack Wii. I wasn't impressed. I gave it a goo, long go as well. Hopefully, this'll be an improvement! @lanafire7 - You would think that, but the unit still has to read the action, talk to the disc and play the video, and in that time there are slight delays. As a WiiWare title is locally stored, there is no delay on death playback. If you're an FMV fan you'll enjoy FD. I don't think there will be enough memory for it. 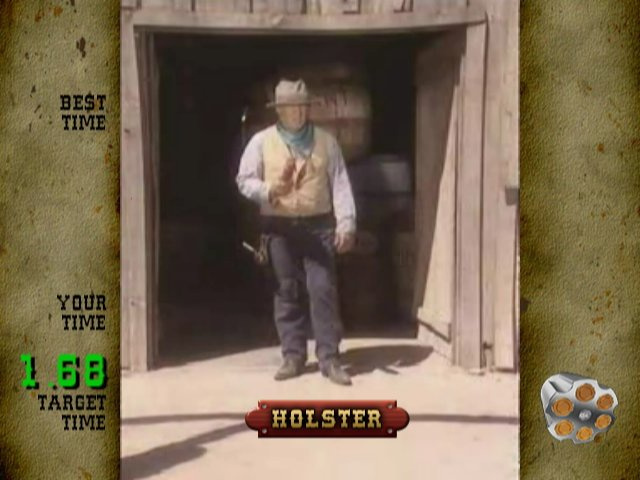 Hey DigitalLeisure, is there enough room for the FMV to look decent enough? 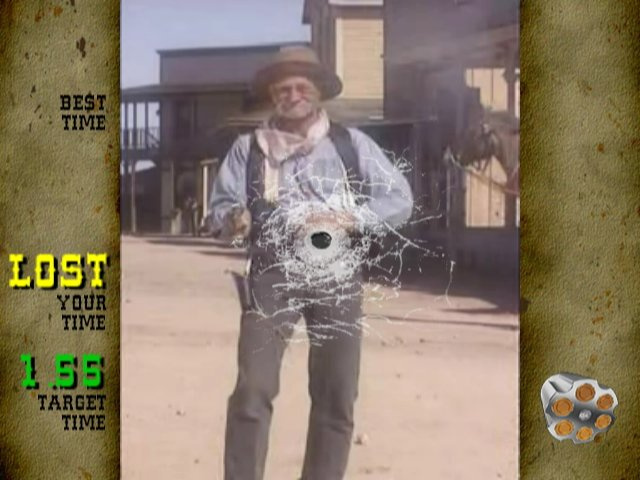 @lanafire7 - The Mad Dog McCree Gunslinger Pack are of course ports of the original arcade games, and as is the objective of any arcade game, they want you to put more money in the machine! 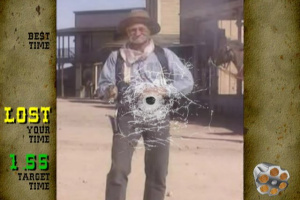 The original creators placed these types of 'money making' shots into the game like the chimney or hidden guys in windows. Basically shots that would guarantee a loss of life the first time around. Many of the original gamers remember these types of moves so they were naturally left in the Wii versions. Yes, most people will die, just as they would have in the arcade, except this time you don't have to feed another dollar into the machine! 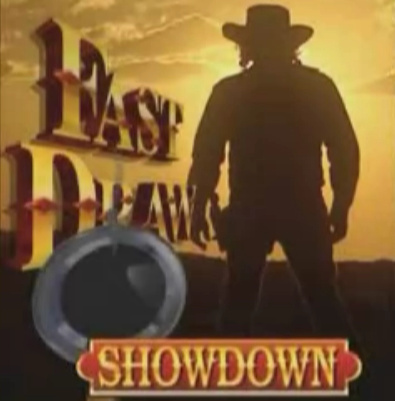 There is certainly skill involved in trying to win against the gunfighters in Fast Draw Showdown, and we believe the overall audience will have a fun time playing. Hope this will lead to more FMV releases, these were alot of fun back in the day. As for the cheesiness the more the better for me; these games were not only fun but a riot too. The only problem was not laughing so much that id die and waste my quaters lol. @DigitalLeisure Good to see the game finally here. hope the reviews are good. I'm glad this was put on the Wii at such a good price too. Shouldn't the EU Release Date be March 25, 2011? Nope, that was a demo.